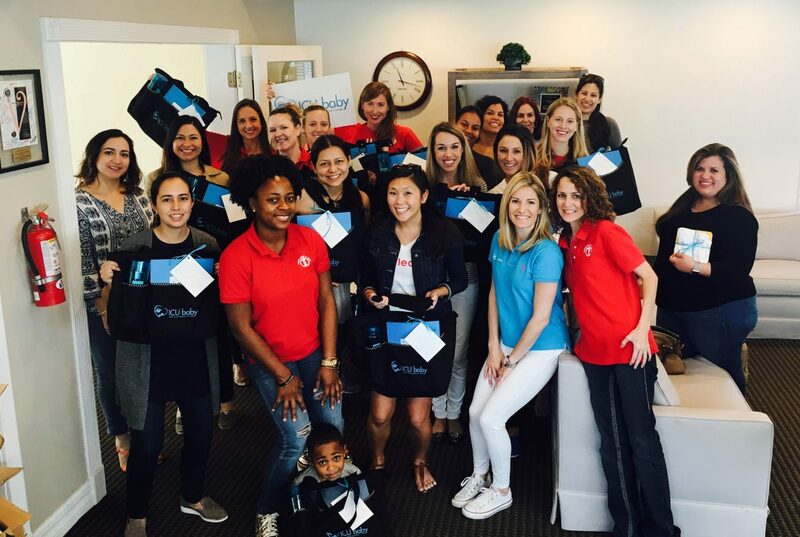 ICU baby teamed up with the ladies of the Junior League of Miami for one of their Done-In-A-Day Projects on February 4, 2017. Twenty women met at Junior League Headquarters to fill Preemie Packs for the NICU families at Jackson Memorial’s Holtz Children’s Hospital. With an efficient assembly line in place, the women tied baby books to baby onsies, attached NICU terms sheets to NICU journals, folded laundry bags, and wrote personal notes of encouragement to the families in Holtz Children’s with a baby born under 32 weeks gestational age. Several women even brought new baby blankets to donate to the preemies. The interest in ICU baby and the compassion that the Junior League women shared for the cause was incredible. ICU baby is very grateful to have had the opportunity to collaborate with the Junior League of Miami for their Done-In-A-Day event. A mutual success and an example of what our community can do together to help struggling families.